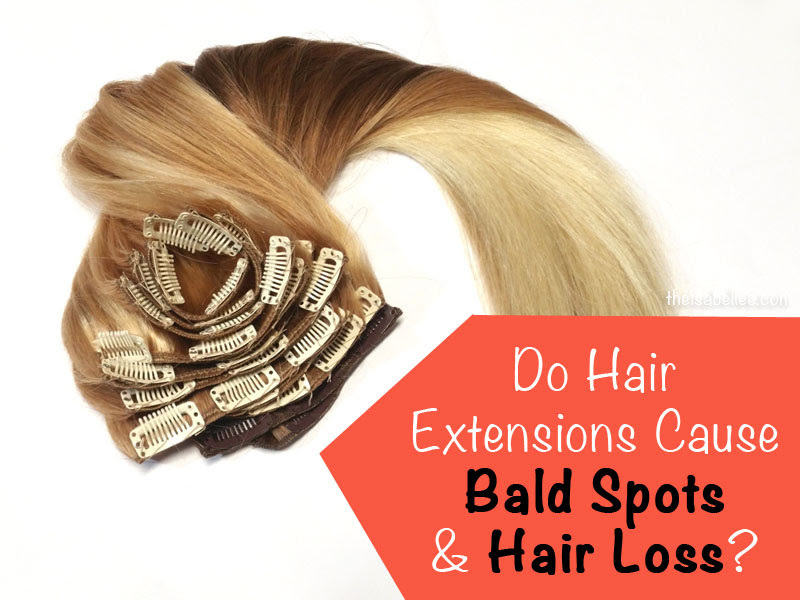 Isabel Lee | Malaysian Beauty & Lifestyle Blogger: [Beauty] Can Clip In Hair Extensions Cause Bald Spots & Hair Loss? [Beauty] Can Clip In Hair Extensions Cause Bald Spots & Hair Loss? I’ve heard a lot of horror stories for clip ins. Now you might think clip ins are the best extensions because they are not permanent, they don’t cause damage etc etc. Actually it’s not true, they are actually one of the worst methods of extensions if you’re going to be wearing them every single day. Clip-ins are great for an event, let’s say you have a wedding to go to or you just want to wear them every Friday night when you go out for dinner or go to the clubs, whatever, then I would say go for clip ins because they are not permanent. But if you’re the type of person who wants to wear extensions every single day, I would research different methods of more permanent extensions that would be less damaging. But the main thing people complain about is..
"How come my clip ins are giving me bald spots?" Well a lot of times clip ins can give you bald spots if you wear them every day. When do Clip Ins Cause Bald Spots? This happens when you wear them every single day. 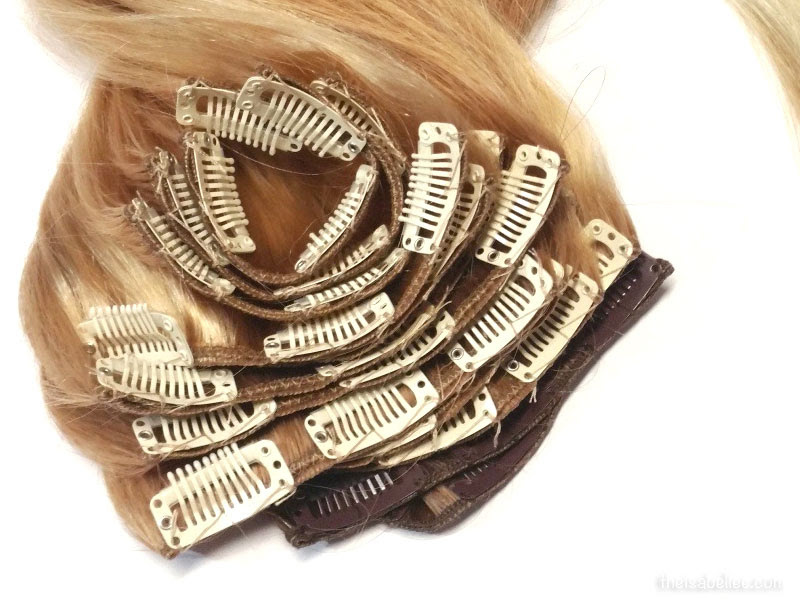 You tend to clip them in the exact same position and place, which makes sense because why would you place them anywhere else especially if they’ve been cut into your hair cut. Hair extensions are heavy and clip ins are attached using these metal or plastic 'teeth'. They grab onto your hair, pulling, pulling, pulling all the time on the SAME spot of hair. This causes hair breakage and on the long run, you will have spots with 'broken hair' from repeatedly wearing the clip ins at the same place. Sleeping with clip ins is like the worst thing you can do, definitely the biggest no no. Think about it. If you wear them, you've probably slept with your extensions. You go straight to bed because you’ve been out really late at night, you come home and the last thing you want to do is take out your extensions. Or maybe you met a guy and you want to not take out your hair and be like hey this is my natural hair (lol).. it just happens. But really though the worst thing you can do is sleep with them because when you're rolling around in your sleep, you’re puling and tagging and girls have really bad horror stories with the bald spots because of sleeping with their clip ins. DO NOT sleep in your extensions! IMO, the best remedy is to either wear them less often, to place them in different spots or maybe not put the entire full set in so that its less heavy on your hair or just to get a different type of extension like a micro weft or even fusions if you don’t mind going for the permanent route but anyways those are my suggestions for avoiding bald spots with clip ins. For long time i have been looking for this kind of tips. Thanks for sharing with us.